<h2>Hyperlocal radio and do-it-yourself networks bring information closer to home</h2><br /><p>By taking a fresh look at community radio – with an FM signal broadcast over a catchment area of only a few kilometres – researchers are finding new and surprising ways to connect remote or rural communities, even in areas where communications may be patchy.</p> <p>‘We think that FM is still a very useful and very important medium, and it deserves a fresh look as to how it works … and how will it interact with … these more recent technologies,’ said Professor Christopher Csíkszentmihályi, who is leading a project called <a href="https://cordis.europa.eu/project/rcn/213180/factsheet/en" target="_blank" rel="noopener noreferrer">Grassroot Wavelengths</a> to create a network of community owned and operated radio.</p> <p>‘While it may be relatively old technology now, it is still very relevant in many parts of the world,’ he said.</p> <p>Rather than replacing FM radio, new mobile and web technology can extend the medium and offer fusions unexplored by more traditional radio platforms.</p> <p>‘What differentiates these stations from a lot of community radio stations is that they are very highly networked, so they are all going off a strong connection to the internet and mobile telephony,’ said Prof. Csíkszentmihályi, who is based at the Madeira Interactive Technologies Institute&nbsp;(M-ITI) in Portugal.</p> <p>The Grassroot Wavelengths project makes FM frequencies available for hyperlocal community radio stations, which can work off a transmitter connected to a mobile phone, broadcasting over a radius of up to 12 km, perhaps covering a neighbourhood, or a village and its surroundings.</p> <p>Instead of having a studio and a large transmitter, the system can be controlled through speech recognition and a web interface, so a manager can line up a series of programmes, or switch between podcasts or streamed material, and live calls to a chat programme, in a similar way to hosting a conference call. People can listen on an FM receiver or via streaming, and can call the station or interact with it via the web.</p> <p><strong>Bucket</strong></p> <p>The whole system can fit into a 15-litre bucket and the version trialled by Grassroot Wavelengths costs about €1000-€1500. After set-up, it needs little more than someone to manage the schedule and maintain a power supply equivalent to a 50-watt lightbulb, or in some cases, substantially less.</p> <p>Having trialled their platforms in Uganda, projects are under way in Portugal and licences have been issued in Ireland and Romania, where stations are being installed.</p> <p>The Ugandan pilot project included slots such as having a vet using a mobile phone to field calls on air from listeners who would otherwise have little chance to ask about problems with their livestock.</p> <p>National legislation usually dictates the permitted formats, including possibilities such as prohibiting advertising, or allowing cheap, community advertising or even full commercials, which can help to cover set-up and operating costs.</p> <p>Prof. Csíkszentmihályi says organisations such as UNICEF have been exploring the use of local radio for public service messaging, and by financing such announcements, they could help to cover the costs.</p> <p>Renato Lo Cigno, associate professor in the department of Engineering and Information Science at the University of Trento, Italy says that community facilities can have multiple benefits.</p> <p>‘Communally owned and operated networks and services can promote resilience, as well as support sustainability, self-determination and social integration,’ he said.</p> <p>Prof. Lo Cigno leads a project called <a href="https://cordis.europa.eu/project/rcn/213180/factsheet/en" target="_blank" rel="noopener noreferrer">netCommons</a>, which has been looking at how local communities can set up their own communications network infrastructure at the grassroots.</p> <p><strong>Isolated</strong></p> <p>In the most isolated or remote communities mobile data signals and access to the internet may be very limited or even non-existent, having too few people to attract commercial telecommunications providers.</p> <p>Rather than waiting for a large telecoms company to turn up, community networks help people take matters into their own hands.</p> <p> <div class="quote-view quotesBlock quote_horizontal"> <div class="quotesTop"><img src="https://horizon-magazine.eu/sites/all/themes/horizon/images/quotes_top.png" alt="" title="" /></div> <p>‘While (FM radio) may be relatively old technology now, it is still very relevant in many parts of the world.’</p> <blockquote><p>Prof. Christopher Csíkszentmihályi, Madeira Interactive Technologies Institute, Portugal</p></blockquote> <div class="quotesBottom"><img src="https://horizon-magazine.eu/sites/all/themes/horizon/images/quotes_bottom.png" alt="" title="" /></div> </div> </p> <p>Such networks are owned and run as commons – resources that are accessible to all in a community, operated by and for its users.</p> <p>Prof. Lo Cigno says this can help maintain values such as net neutrality – the principle that all data on the internet is treated equally. ‘The key point is recognising that the global communications today are not a perfect, democratic place,’ said Prof. Lo Cigno.</p> <p>‘In contrast, community infrastructure can protect network neutrality, so access is equitable and not tilted in favour of the wealthy and powerful,’ he added.</p> <p>Technology is obviously essential for setting up such local networks, but netCommons found that it is not sufficient to ensure success, Prof. Lo Cigno said. Policy and regulations are just as important.</p> <p><strong>Disputes</strong></p> <p>As soon as there are more than a few dozen users, disputes inevitably arise over issues such as usage and abuse of the infrastructure, or even basic internet rights. So there is a need for some kind of legal framework. And setting up such networks may also have sociological and political dimensions, which need to be considered in each case.</p> <p>But Prof. Lo Cigno said that some community networks have proved so successful that the major market players have taken note and turned up eventually, exploiting the local infrastructure to hook these communities up to the broader networks.</p> <p>‘Sometimes the community network disappears as a result, and in a way this is a success, because the community network has forced the incumbent to recognise there is a market,’ he said.</p> <p>While netCommons has mainly looked at such local networks in Europe, Lo Cigno sees scope for them to benefit communities in developing countries.</p> <p>He also says they demonstrate a different model of networked communications.</p> <p>‘Part of the societal impact is to show a different way of imagining global communications, with people at the centre of communication, rather than people as customers of a communication service,’ Lo Cigno said.</p> <p><em>The research in this article was funded by the EU. If you liked this article, please consider sharing it on social media.</em></p> <br /> <img src=”http://www.google-analytics.com/collect?v=1&tid=UA-40077089-1&cid=hyperlocal-radio-and-do-it-yourself-networks-bring-information-closer-to-home&t=event&ec=republish&ea=read&el=hyperlocal-radio-and-do-it-yourself-networks-bring-information-closer-to-home&cs=republish&cm=republish&cn=republish&cm1=1" /> This post <a href="https://horizon-magazine.eu/article/hyperlocal-radio-and-do-it-yourself-networks-bring-information-closer-home.html">Hyperlocal radio and do-it-yourself networks bring information closer to home</a> was originally published on <a href="https://horizon-magazine.eu/">Horizon: the EU Research &amp; Innovation magazine | European Commission</a>. Modern communications technology means one can find anything, anywhere around the world, on the internet and via mobile phones. But people still live in communities and need information that is relevant to them. By taking a fresh look at community radio – with an FM signal broadcast over a catchment area of only a few kilometres – researchers are finding new and surprising ways to connect remote or rural communities, even in areas where communications may be patchy. ‘We think that FM is still a very useful and very important medium, and it deserves a fresh look as to how it works … and how will it interact with … these more recent technologies,’ said Professor Christopher Csíkszentmihályi, who is leading a project called Grassroot Wavelengths to create a network of community owned and operated radio. ‘While it may be relatively old technology now, it is still very relevant in many parts of the world,’ he said. Rather than replacing FM radio, new mobile and web technology can extend the medium and offer fusions unexplored by more traditional radio platforms. ‘What differentiates these stations from a lot of community radio stations is that they are very highly networked, so they are all going off a strong connection to the internet and mobile telephony,’ said Prof. Csíkszentmihályi, who is based at the Madeira Interactive Technologies Institute (M-ITI) in Portugal. 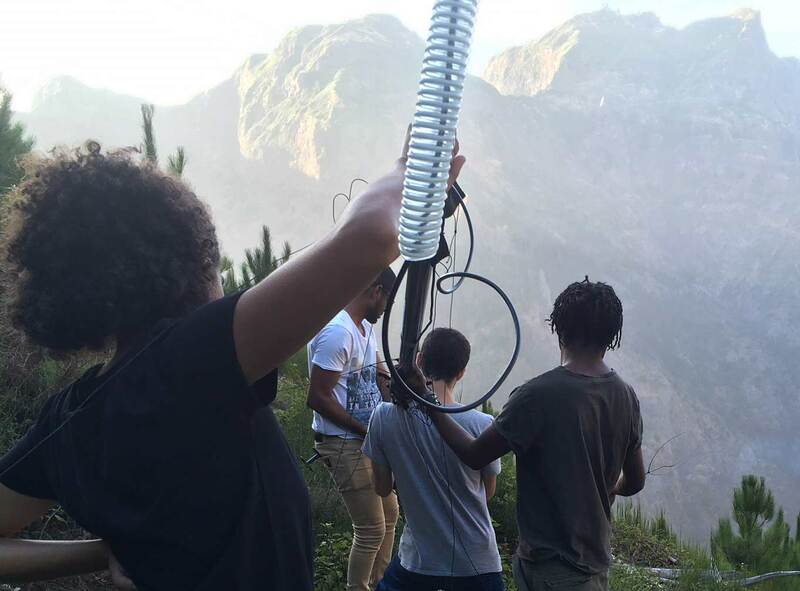 The Grassroot Wavelengths project makes FM frequencies available for hyperlocal community radio stations, which can work off a transmitter connected to a mobile phone, broadcasting over a radius of up to 12 km, perhaps covering a neighbourhood, or a village and its surroundings. Instead of having a studio and a large transmitter, the system can be controlled through speech recognition and a web interface, so a manager can line up a series of programmes, or switch between podcasts or streamed material, and live calls to a chat programme, in a similar way to hosting a conference call. People can listen on an FM receiver or via streaming, and can call the station or interact with it via the web. The whole system can fit into a 15-litre bucket and the version trialled by Grassroot Wavelengths costs about €1000-€1500. After set-up, it needs little more than someone to manage the schedule and maintain a power supply equivalent to a 50-watt lightbulb, or in some cases, substantially less. Having trialled their platforms in Uganda, projects are under way in Portugal and licences have been issued in Ireland and Romania, where stations are being installed. The Ugandan pilot project included slots such as having a vet using a mobile phone to field calls on air from listeners who would otherwise have little chance to ask about problems with their livestock. National legislation usually dictates the permitted formats, including possibilities such as prohibiting advertising, or allowing cheap, community advertising or even full commercials, which can help to cover set-up and operating costs. Prof. Csíkszentmihályi says organisations such as UNICEF have been exploring the use of local radio for public service messaging, and by financing such announcements, they could help to cover the costs. Renato Lo Cigno, associate professor in the department of Engineering and Information Science at the University of Trento, Italy says that community facilities can have multiple benefits. ‘Communally owned and operated networks and services can promote resilience, as well as support sustainability, self-determination and social integration,’ he said. Prof. Lo Cigno leads a project called netCommons, which has been looking at how local communities can set up their own communications network infrastructure at the grassroots. In the most isolated or remote communities mobile data signals and access to the internet may be very limited or even non-existent, having too few people to attract commercial telecommunications providers. Rather than waiting for a large telecoms company to turn up, community networks help people take matters into their own hands. Such networks are owned and run as commons – resources that are accessible to all in a community, operated by and for its users. Prof. Lo Cigno says this can help maintain values such as net neutrality – the principle that all data on the internet is treated equally. ‘The key point is recognising that the global communications today are not a perfect, democratic place,’ said Prof. Lo Cigno. ‘In contrast, community infrastructure can protect network neutrality, so access is equitable and not tilted in favour of the wealthy and powerful,’ he added. Technology is obviously essential for setting up such local networks, but netCommons found that it is not sufficient to ensure success, Prof. Lo Cigno said. Policy and regulations are just as important. As soon as there are more than a few dozen users, disputes inevitably arise over issues such as usage and abuse of the infrastructure, or even basic internet rights. So there is a need for some kind of legal framework. And setting up such networks may also have sociological and political dimensions, which need to be considered in each case. But Prof. Lo Cigno said that some community networks have proved so successful that the major market players have taken note and turned up eventually, exploiting the local infrastructure to hook these communities up to the broader networks. ‘Sometimes the community network disappears as a result, and in a way this is a success, because the community network has forced the incumbent to recognise there is a market,’ he said. While netCommons has mainly looked at such local networks in Europe, Lo Cigno sees scope for them to benefit communities in developing countries. He also says they demonstrate a different model of networked communications. ‘Part of the societal impact is to show a different way of imagining global communications, with people at the centre of communication, rather than people as customers of a communication service,’ Lo Cigno said. The research in this article was funded by the EU. If you liked this article, please consider sharing it on social media. Online voting is often considered a way to improve voter turnout and security. But according to Dr Steve Kremer of the French Institute for Research in Computer Science and Automation, computer scientists have got a long way to go before they make it a viable alternative to pencils and paper.